news The National Broadband Network Company has updated its dynamic rollout map with details of thousands of new premises where construction contracts have been signed, giving Australians a great deal more certainty about whether their premise will be included in the company’s next round of Fibre to the Premises broadband deployment. In late October, NBN Co radically altered its network rollout map. Many areas around Australia which had been marked to receive new broadband infrastructure over the next several years had their areas removed from the map. You can see the map online here. The changes took place because NBN Co changed its metrics. Previously, NBN Co had used a metric which referred to the fact that initial work on designing its rollout in certain areas had commenced. This included, in many cases, work on paper that took place in office environments, despite the fact that no actual construction work in the field had actually started. However, the the new Coalition Government changed this measurement and is now only measuring areas where construction crews in streets have been instructed to actually start deploying infrastructure, as well as areas where services are available. “The maps will be updated when further areas enter the building stage and the shape of the rollout becomes clearer following the completion of the Strategic Review into the NBN,” said NBN Co in October, reflecting the fact that much of the future of the rollout was at that stage up in the air, pending the outcome of that review. This morning, several months after the Strategic Review was published, the Office of Communications Minister Malcolm Turnbull alerted journalists that NBN Co’s rollout map had undergone a major update to reflect new areas where construction activity has commenced. Although the new Coalition Government is pursuing a so-called ‘Multi-Technology Mix’ approach to the project, which will drastically modify Labor’s initial NBN approach by adding Fibre to the Node and HFC cable options to the broadband mix (in a deployment being called the Coalition’s Broadband Network or CBN), work on Labor’s existing FTTP model is still progressing until the MTM model can be finalised. Shortly after the September election, new Communications Minister Malcolm Turnbull instructed NB Co to complete construction of the FTTP network to some 300,000 premises where construction had already begun using the all-fibre FTTP model favoured by the previous Labor Federal Government. At the time, the two ministers noted that detailed network design was underway in areas containing a further 645,000 premises, and that in geographic areas where NBN Co was in a position to hand over final designs to construction partners, some of those sites may also see construction work begin “shortly”. In November, Turnbull added another 150,000 premises to the list. Overall, the changes to NBN Co’s maps have not gone down well. In November, the Labor Opposition claimed it was being inundated by “countless” complaints by Australians alarmed after the new Coalition Government ‘wiped them off the NBN rollout map’ with “no apology and no real explanation”. ““There was no warning. No apology and no real explanation from the Government and what’s going to happen next,” said Member for Throsby Stephen Jones at the time. Australians have continually signalled over the past several years that they prefer Labor’s FTTP-based NBN policy over the Coalition’s less ambitious vision, which also incorporates Fibre to the Node- and HFC cable-based rollout styles. Good to see some more transparency from the Coalition and NBN Co on premises under construction. I’ve been receiving emails for months now from readers informing me that they are seeing construction work in their streets, but that their area isn’t listed at all on NBN Co’s rollout maps. Well, ain’t that strange… proof that the Minister really doesn’t know what’s happening. I live in the ACT and am having a house built. Where it is located is in the TransACT FTTP rollout area. On the old maps, this was a hole in a sea of Available/Building commenced. But now it’s all “Available”. Anyone have any idea what’s changed? Transparency? Don’t make me laugh. It’s all been hidden for yonks. I don’t suppose they plan to colour-grade the different varieties of infrastructure do they? If all they’re planning to have is “Fixed Line” and “Fixed Wireless”, then that’s pretty damn ambiguous. I think people will have a right to know exactly what technology their house is connected to (or will be connected to), be it FTTH, FTTB, FTTN or HFC. I already know I’ll get HFC because the Telstra cable runs right past my house. I haven’t had it installed because I don’t feel like paying ~$500 to have it hooked up, plus another ~$100 a month to run it when it’s more than possible the service will be less reliable than my 4.5mbit ADSL2 connection. We already have “fixed line” so yes, we need to know exactly what technology is being used. I refuse anything less than full fiber. Haven’t you heard? Copper is just as good as fibre, so fixed line is all you need to know. Malcolm Turnbull and Ziggy Switkowski said so. Gotta Luv Ziggy’s Good Copper that in our area after some wet weather & according to our ISP has lost all ADSL due to a “Mass Service Disruption Expected to Last for Several Weeks” & has me posting this on dial-up once I dug out an old XP box complete with a still working modem from the back shed. Running at around 5KB/s it’s taking up to 5 minutes for a web page to load, lol. I see they haven’t updated their FAQ yet, still “Frequently asked questions – Fibre to the premises” and nothing to do with nodes. My family’s house was in the original rollout as having construction commenced Feb 2014. Since the change of government that disappeared and now there has been no update. Looks like wimax (vividwireless) for the foreseeable future since there is no ADSL there at all…so depressing. None the those areas that I had seem with preperation work being done have enter “in build”, they just seem to be not going ahead. Man – construction was suppose to start in like march last year for me – but I’m still not on the map. I thought the rollout was suppose to be faster under the coalition. A few months ago there were a few ditch-witches on my street – they dug a few holes, drilled at un-godly hours – disspeared for a while…. and then the holes were filled in… so dont know what that is about. Construction already began around my area with my area set to have a RFS of Feb/March. My block was conveniently dropped from the map. And I’ve resigned myself to putting up w/ the blinding speeds of ADSL1 for another 10-20 years or so. Is this how going to be quicker ? spoon fed. I was due to have my FTTP in January.. My entire area (and 3 around it) has been taken off the map and still hasn’t been put back on :(. Meh, I gave up majority getting anything highspeed under this gov. This is going to be very sh!t few years. cant blame liberals, since it was supposed to be rfs one month after the election. The maps were bogus before the election. the only thing that happened was nbnco got told to make them realistic. @ Guest – At least the map previously gave you some idea of how long it would take and you knew what technology you were going to get. Yea its kinda sh!t simply adding the “how far they are behind” time to the estimated build commencement & RFS dates but it is better than not being told a thing – two years out from when this govt. promised we were all to have at least 25mbps. JJJ, your original post stated you were slated for March last year. Correct me if I’m wrong, but wasn’t that quite a few months before the fed election? I’m not a fan of how MT is doing things, but honestly, staining a virtual map with a promise that isn’t going to be fulfilled is less use than only updating when there’s something worth updating. If you bought in to the ALP promise of “soon”, why do you have problems with the LNP’s promise of “sooner and better”? They’re both lies. There were 4 construction commencement dates for my area as it was divided into four parts- between March and August (I think) last year. “there is no activity in your area but in the mean time keep checking back for updates”…which is pretty much what rollout map now says for me (paraphrasing a little). Sure – I am only assuming that progress in my area was further slowed, even halted, because of the change of government and change of plans – but if that is the case then yes – rather then getting anything faster as promised by Turnbull, it will be later rather than “sooner”… which is all my point was. I just announce wireless for my out side of my rural town. I just move into a house that was finish last year, on a subdivision that was done in 2009. Saw the copper being laid for it when I moved in to an adsl1 node 200m up the road. So far 2 days after the last rain getting a max speed of 1.3Mbps. 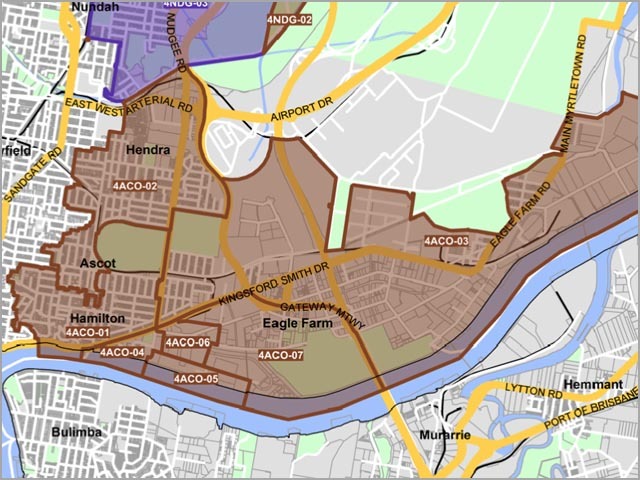 I love the fact that the original real NBN was actually laying fibre in our street and then Woodcroft was removed from Turnbull’s “new” NBN map. So we actually have fibre in the ground but magically we are removed from the rollout. My suburb is still not in the rollout and there’s blackspots all around me. My area (East Maitland and surrounding suburbs, NSW) *had* an RFS of January ’14 before the election. There was some activity in the first half of last year digging up streets and laying conduit, even pulling fibre, but this all stopped at the announcement of the strategic review. Since January the activity has been ramping back up and every day I see contractors (including Telstra) in different parts of mine and adjoining suburbs working on the pits. I’m very surprised to see my area hasn’t been added to this updated list. I notice the language of the connection types has been subtly changed, from fibre optic to “Fixed line”, how very devious indeed. I got an ADSL 1 fixed line – FTW! The maps are bogus, as they do not distinguish between fixed wireless and fix line. I’m guessing this will leave the way open for fixed wireless to replace fixed line infrastructure.